Acne is one of the most common skin issues that usually affects people of younger age. In scientific senses, Acne is caused when the hair follicles plug with dead skin cells and oil. Acne is totally treatable and one of the most effective methods is using Vaseline. It protects skin by making a barrier against pollution. Let us read to know how to use vaseline for acne. What Does Vaseline Do for Acne? Two very popular ways of using Vaseline in order to Vaseline can be a good approach in the Acne treatment. One of the reasons why we grow acne is due to dirt and pollution in the environment. Vaseline protects skin by creating a barrier which works as a protection against the Acne. It helps rejuvenating the damaged and dead cells, helping the skin from burn, cuts, scraps, cracked skin, dry skin and Acne. Two very popular ways of using Vaseline in order to cure Acne are Cocoa butter Vaseline and aloe Vera Vaseline. Methods of using are as follows. It doesn’t directly treat acne but it works as a protection against a number of things. 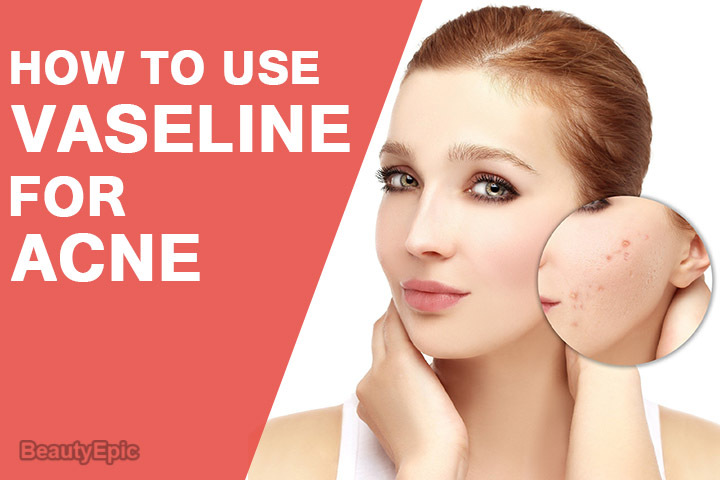 Here is how you can use Vaseline for acne. Wash your face before sleeping with a face wash or soft soap. As a moisturizer, apply Vaseline on your face. How it works : It is ideal for oily skins and it does not clog pores. Thus, it is non-comedogenic. Repetition time : Repeat it daily in night before sleeping till the Acne start to go. Cocoa butter Vaseline is also a good way to treat acne. 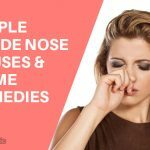 It is non-comedogenic which means it does not clog pores. Cocoa butter diminishes spots and pores, which eventually results in Acne cure. Apply the cocoa butter Vaseline on face after washing it in night. How it works : It makes your skin smooth and also turns your face less oily. At the same time it diminishes the dark pores and spots of skin. Repetition : Repeat it daily to get better results. Aloe Vera is a wonderful ingredients which is used for medicinal as well as other purposes. 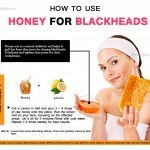 It is quite helpful for skin related problems such as acne. Not just treatment, but also to prevent acne you can use it. 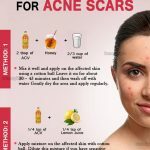 Here is how you can use Aloe Vera Vaseline for acne. Wash your face with a good face wash.
Wash your face in morning. Note : You need to follow this step twice. How it works : Aloe Vera Vaseline heals the skin, makes it able to fight acne. 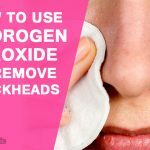 It also remove acne scars and pores. Repetition time : Use the method twice in order to get better results. Acne is a very common skin problem that is characterized by pimples, blackheads and pores on skin. This can be a pretty embarrassing state as well. Vaseline can treat this in a safe and good manner. Be it Aloe Vera Vaseline or cocoa butter Vaseline, it is an easy method to cure acne and scars. 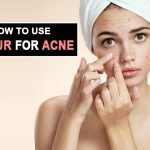 Acne is one of the most common skin issues that usually affects people of younger age. Let us read to know how to use vaseline for acne.